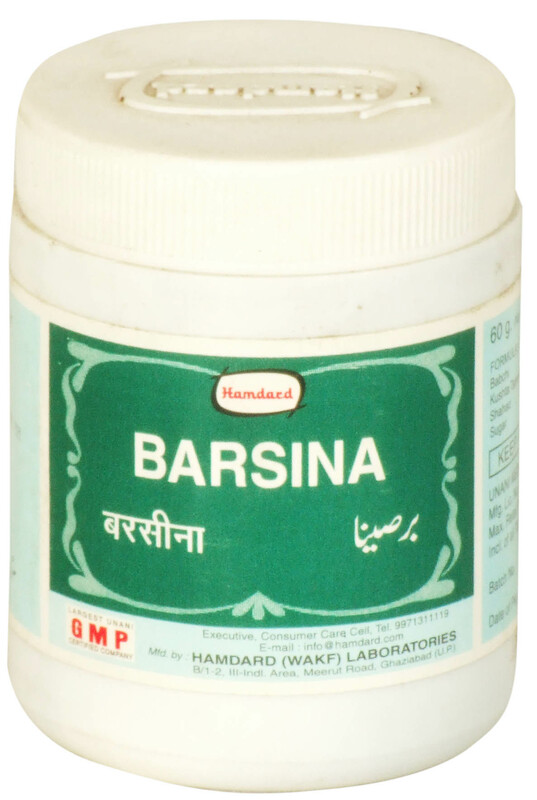 Barsina: It is useful in early stages of leucoderma which is localized to smaller parts only. Direction: To be taken after breakfast and at bedtime. Formula: Each 10 g. Contains: Babchi Kushta Tamesar Shahad Sugar.